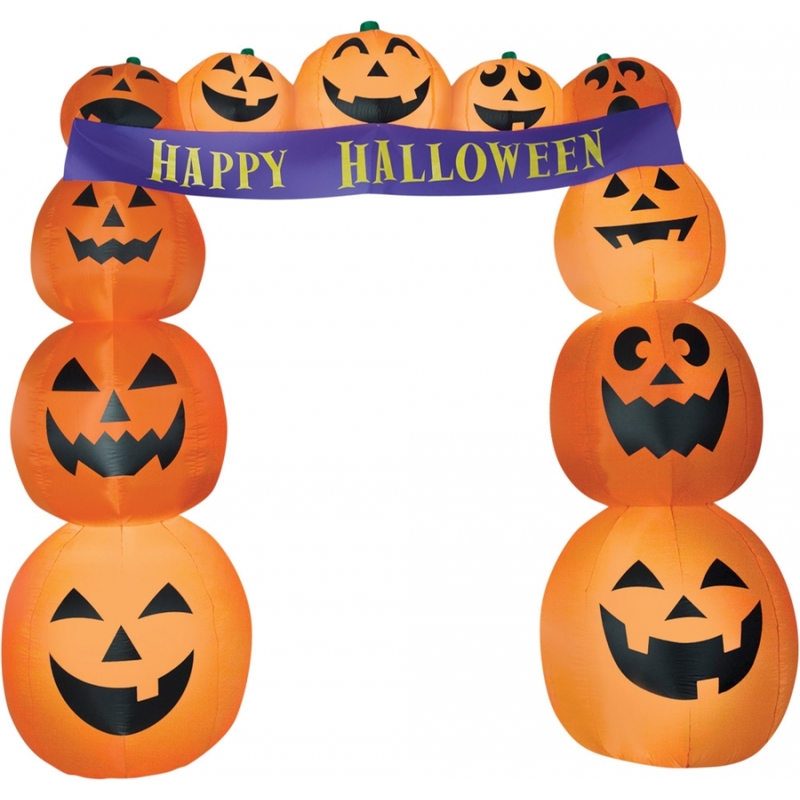 Great Airblown inflatable Pumpkin Archway with provide a festive entrance to your Halloween display or fall festival! 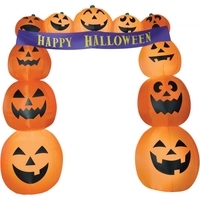 Happy pumpkins form an archway and hold a banner wishing you a Happy Halloween. Great for a school party or event. Airblown gives your decor maximum impact with minimum effort and it comes with everything you need for quick and easy set-up. You just stake it down and plug it in. Lights up with clear LED lights Self-inflates in seconds Deflates for easy storage Made of Fabric,80%; Electronics,10%; Plastic,10%. Measures approximately 101 inches tall, 34 inches deep, and 107 inches wide.